Engineers Without Borders Sweden conducts and supports international projects based on engineering expertise, often in collaboration with local organizations. We aim to find technical solutions adapted to and respecting local know-how, culture and values. Please contact us for more information, ideas, partnerships or support! 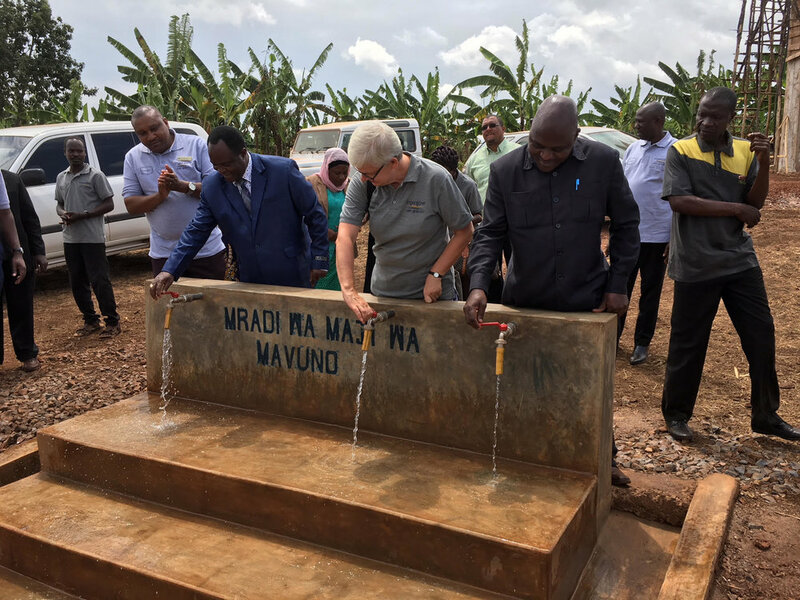 A collaboration between Kolandoto Hospital in Tanzania and the Swedish NGOs Involvaid, Engineers Without Borders and Architects Without Borders resulted in substantial hospital infrastructure improvements for Kolantodo Hospital. The primary objective of the project was the reduction of morbidity and mortality in the Shinyanga region. Mkula Healthy Hospital is an ongoing project that aims to improve Mkula hospital together with the hospital management team and the hospital staff. The Healthy hospital initiation started in 2015 when the infrastructure at Kolandoto Hospital was studied and improved. The citizens of Chonyonyo, Rukole and the area around have a very stressed water situation. Women and children walk several hours to reach natural water sources and the water is not of good quality. The aim of this project is to supply clean water to the villagers of Chonyonyo and Rukole and also to the Chonyonyo girls secondary school. 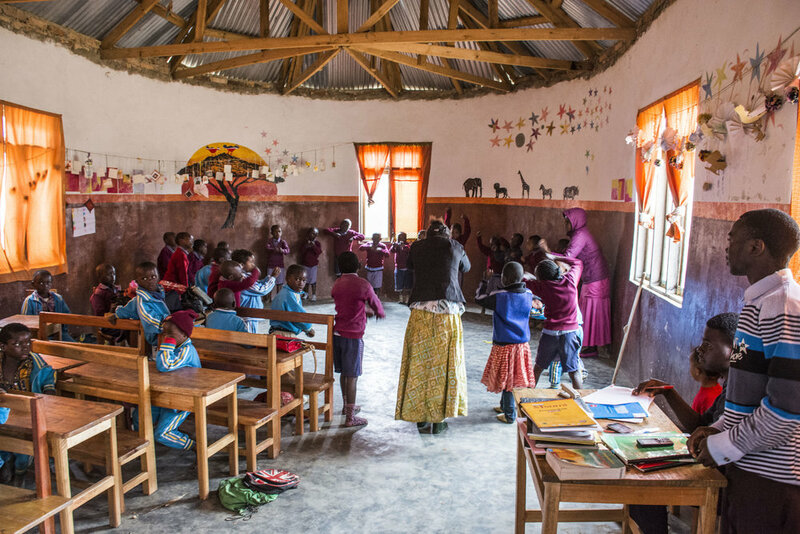 At schools in the rural Karagwe District of North-Western Tanzania, toilets and sanitation facilities are often of low quality and lacking in privacy. EWB and Sandvik are cooperating with Mavuno Project to construct sustainable and user-friendly toilet facilities. In the districts of Karagwe and Kierra, many children are orphaned or come from low-income families that are unable to take care of their children. The local organisation Mavuno is in the final phase of constructing an orphanage in Chonyonyo. Together with Wulugu Senior High School, we have developed a sustainable toilet structure that separates urine, which instead can be used in local agriculture. The project aims to reduce the amount of open defecation to reduce health problems. This collaboration aims to provide engineering solutions for carefully selected projects linked to one of the newly established schools and orphanage founded by CCY Tanzania. The village Tatum in Cameroon suffers every year from intense rain- and dry periods. During the dry period's harsh climate, the local water resources run short of water which has caused problems for the villagers. The goal of Wacess is to implement a stable water supply on an agricultural school in Tatum, that will last during the whole year. For over 2 decades, FACE Zimbabwe has been running sustainable livelihood, gender empowerment, and community engagement projects. Engineers Without Borders Sweden recently partnered with FACE to install a 3kw solar system on the maternity ward of Rusape General Hospital. In Tanzania, more than one-third of teenage girls drop out of school. Two reasons for this are the high-cost of sanitary pads and the menstrual taboo. Together with local actors, we have initiated a project to support the young women to stay in school. Build Up Nepal was founded after the 2015 earthquake which destroyed many homes, especially in poorer regions. This project created a manual describing the construction process for earthquake resistant houses. This enabling locals to build houses without having to rely on knowledge and help from others. This project aims to improve education through a sustainable, cost efficient and energy efficient computer setup.